Grand Gedeh – In continuation of the Funding Leadership Opportunities for Women FLOW Project, a grassroots Women Movement in Grand Gedeh County the Women Platform hosted a three days Women Political Participation Forum in three Major Districts in Grand Gedeh County, (Putu District, Konobo District and Tchine District) aimed at making women to understand that their involvement and political participation in governance through a conflict free society will increase women’s political participation in decision making processes and women should build stronger synergies and have more conversation around women in governance. The chairperson of the platform emphasized that their coming has no intention to canvas for a female candidate as we approach the midterm senatorial election but to continue the engagement and to build an inform and conscious women in making political decision. 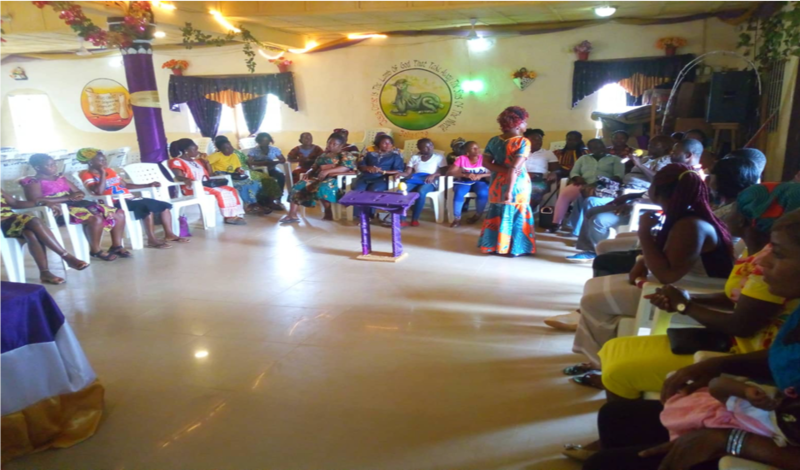 The forums were held on January 4, 6, 7, 2019 and was attended by fifty 50 participants including men from each of the three administrative districts in Grand Gedeh County, participants were: women wing chairlady, town and clan chiefs, youth groups, women leaders, market women and amongst others. Speaking on behalf of the Platform Women Madam Jesadeh G. Barzon the chairlady firstly made a disclaimer that she is not in these communities because she want to contest in the county, she’s here in fulfillment of the resolution we signed in Zwedru during the women and girls colloquium and we agreed that the Platform Women will take the Lead, so this is why we’re taken the lead to implement this portion of the resolution, please don’t say why Ma. Jesadeh is speaking instead of Brooks from YOCEL, however madam Barzon stressed that it was so important that they had such knowledgeable trainings in Zwedru city during the women colloquium and we have come to discuss as women of Grand Gedeh and to also provide the opportunity for the facilitator that came along with us to enhance our knowledge and strengthen our capacity, gone are those days where the male dominance will come and continue to fool us, we too deserved a seat at the table and we have also come to encourage our women, that our month should not continue to be the pocket of men. During the forum, the facilitator inform the participants that his presentation will be more interactive and practical, he also reveal to the women a simple metric capturing the gaps in women political participation and decision making in local governance, national leadership with emphasis on the executive and legislative branches of government and these gaps were identified. at the forum the participants did a practical exercise that was intriguing to most of the women in which some of them started to gives their testimony of how they got involves with the campaign why they supported those people. The facilitator developed another grill using color paper as a representation of leadership and this was the simplest illustration for the women and this was a revelation and a takeaway for them at the end of the forum, some of whom were still reflecting on the colors and making some strong comments. He indicated that when this is done at least twice a year in the various communities, a huge impact and a dramatic change will emerged in the voting pattern of the country, he also mentioned that this is another form of civil education but in a more advance way. At the closed of the forum the leadership of the Women Platform applauded the facilitator for impacting the lives of the women and the participants themselves also thank the Women Platform for taking the lead and ownership, thanks to YOCEL for the support and OXFAM – Liberia for providing the finances.